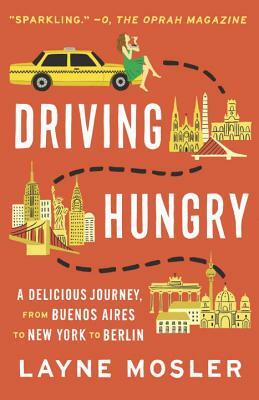 Driving Hungry charts Layne Mosler’s adventures in spontaneity and personal discovery when she decides to explore her surroundings by asking taxi drivers, “Where is your favorite place to eat?” Mosler (creator of blog Taxi Gourmet) engagingly dishes on her journey as she learns to tango in the milongas of Buenos Aires, navigates New York City as a novice cabbie, and explores what it means to be a Lebenskünstler—life-artist—in rapidly-transforming Berlin. Full of vivid observations, humorous mishaps, and a dash of romance, Mosler’s debut memoir is a flavorful delight to be savored by hungry readers and travelers alike. Adrift in Buenos Aires, Layne Mosler was hungry—for an excellent (and cheap) meal, for a great story, for a new direction. A chance recommendation from a taxi driver helped her find all these things, and sparked a quest that would take her to three cities, meeting people from all walks of life, and finding an array of unexpected flavors. A story about following your passion, the pleasures of not always knowing your destination, and the beauty of chance encounters, Driving Hungry is a vivid, and inspiring, read from first to last. LAYNE MOSLER has written for New York magazine, The Guardian/Observer, NPR Berlin, and the Travel Channel’s worldhum.com, among other venues. She lives in Berlin.